Our artificial grass underlay is perfect for a wide variety of uses such as schools, playgrounds, roof gardens and laying on top of hard surfaces such as concrete. Please enter your required length up to a maximum roll size of 100m. 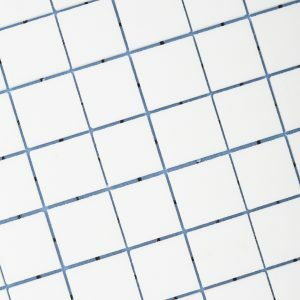 This tough, free draining foam artificial grass underlay has a wide variety of uses. It’s perfect for schools, playgrounds and roof gardens. Our 20mm option is perfect for use in playgrounds to protect children from falls in compliance with the Head Impact Criteria (HIC). 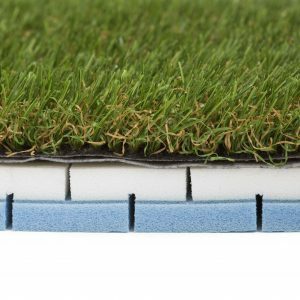 This foam underlay can also be used artificial grass on top of hard surfaces such as concrete, decking or paving for an extra soft feel underfoot. We always recommend using a foam underlay for artificial grass installations such as these, as without it, you will see any bumps or ridges in your fake lawn. 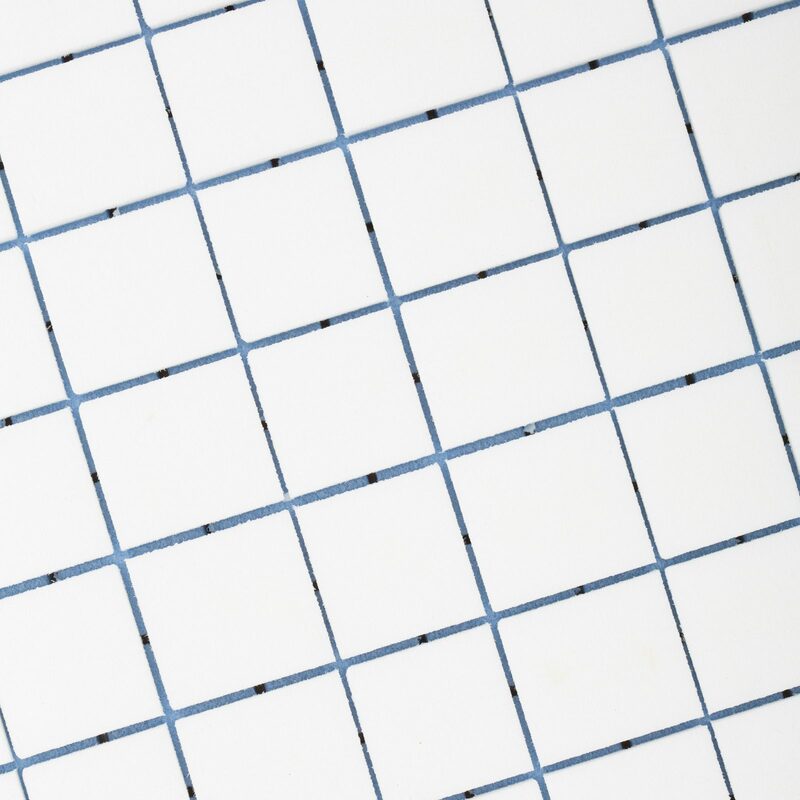 Our 10mm foam is also suitable for this purpose. For those that like a soft lawn, our underlay can also be used as part of a standard artificial lawn installation. 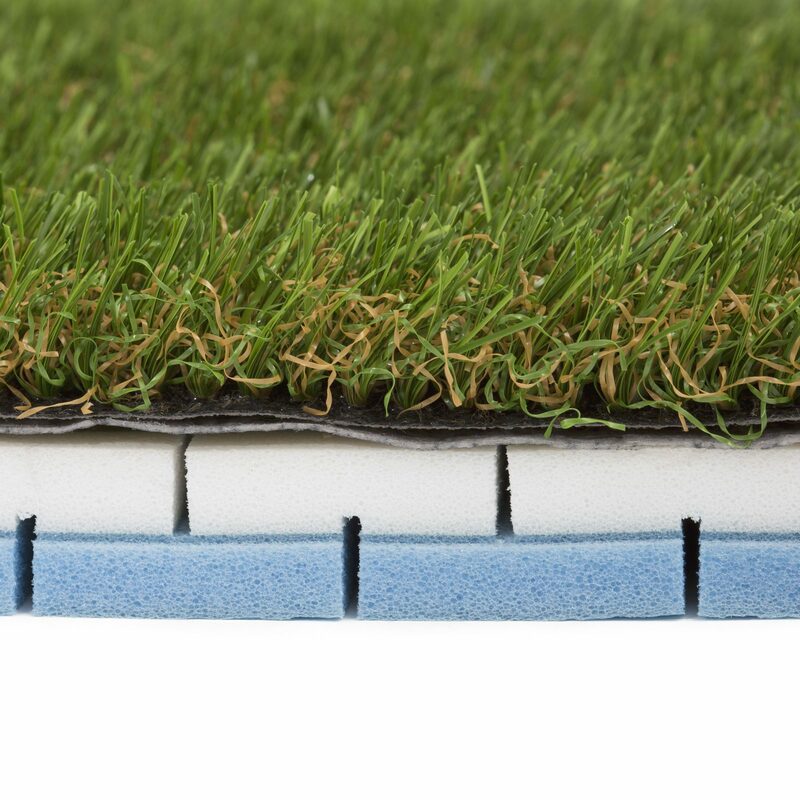 Our astro turf underlay can be secured to surfaces using either artificial grass pins or if installing on top of concrete our artificial grass glue. 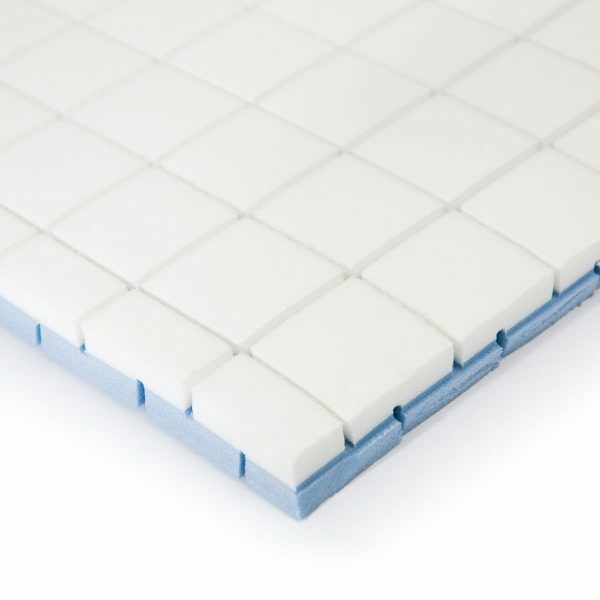 This high quality foam will not expand or hold nasty smells.